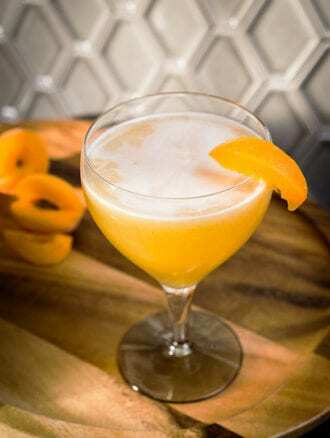 Named for the famed silent movie actress, this rum-forward sipper is widely attributed to Eddie Woelke (he’s perhaps better known for creating the El Presidente cocktail), who fled to Cuba during Prohibition. At the Colada Shop in Washington, D.C., barman Juan Coronado features the drink alongside other Cuban favorites, using the measurements below. Aged rum and a rich Italian vermouth join forces in this decadent sipper.